The only thing worse than acne in your teen years is acne when you’re an adult. I would know because I am living it. At twenty-five years, I get these sudden breakouts and they’re sometimes bad; sometimes manageable. I can go on talking about how much it stresses me or the things I do that make it worse but instead of dragging this post on my feelings/frustrations, I will talk about two new products I love and want to share! If you’re looking to lift off all impurities from your face (which everyone should be doing) because you do not want to breakout how I do, this product is seriously going to become your holy grail. I’ve been looking to get a gadget that I can use daily to help exfoliate my morning and evening wash-ups and ta-da, there is finally one out there I like! This Vitagood skincare machine (see right of above image) is SO worth the money. I use it once in the morning and once before I go to sleep. Not only does it remove all the excess dirt/makeup off my face flawlessly, it leaves my entire face feeling so damn smooth. Also, the bristles on this brush are not harsh so your skin will not feel irritated, I promise. 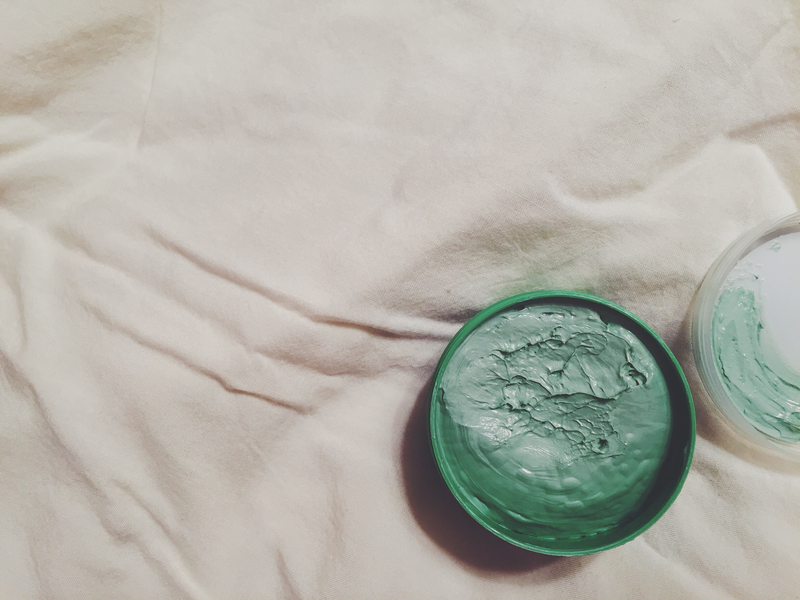 The second most amazing skincare product is this Tea Tree Face Mask from The Body Shop. (see above image) The main ingredient (tea tree oil) is hands down the best thing you can use to treat acne. It kills all the bacteria you have which cause blemishes and leaves your skin feeling silky smooth. What are some of your favorite skin-care products?